← Will A Universal Translator Ever Be Possible? 2013: Zombies are it. With record breaking shows like The Walking Dead, constant new movies and remakes, spinoff events like survival camps, zombie runs, and zombie cosplay events, zombies are reaching the peak of popularity. Simply put: It’s good to be a zombie. Zombies are not a big deal. Maybe a minor deal. They fall on the bottom rungs of the horror ladder, if they even manage to cling on at all. Yeah, I’m sure a few Japanese zombie examples are flowing through your mind. Resident Evil? House of the dead? High School Of The Dead? I Am Hero? And a slightly mild barrage of crappy B movies? Zombies are out there. I don’t deny that. But they are not making any big (zombie) waves in entertainment. As a zombie fan, I needed an answer as to why. Unfortunately, there isn’t much Japan-zombie related research out there just yet, so I have to come up with my own conclusions using my own zombie expertise, conversations with Japanese friends, and repeated views of The Walking Dead dubbed into Japanese. While most major recent zombie movies are based on the “virus outbreak” concept of zombie spread, the original movies were undead, rising from their graves. Japan’s graves are mostly just monuments with nothing in them. Most Japanese are turned to ashes. So the concept of people rising from their graves has no fear. While I’m sure all countries respect their dead, Japan goes above and beyond. Most people visit the grave sites of their deceased yearly, if not more. Families actually upkeep the gravestones, leave flowers and other gifts. Many also have an alter dedicated to a deceased relative in their house. There is even an entire national week long holiday dedicated to the spirits of ones ancestors. So there is a large fantasy of being able to wield guns freely, use them, with no guilt, and be a hero for being a good shot and killing evil things. Japan doesn’t like guns. They are far outside the grasp of any normal person. A real gun has either the image of war, or an unruly yakuza member. If an outbreak occurred, there would be no guns, which is the central weapon of 99% of zombie movies. Guns? Who needs guns when you have katanas? Yeah… Katanas are way less common than foreigners think, are hard to get, and are illegal to carry. Most Japanese horror revolves around ghosts. Why? A large amount of Japanese people (especially women) believe in ghosts’ existence. When people die, they become ghosts, not zombies. If they were to become zombies, what would happen to the ghosts? A major reason why zombie movies are often thought to be popular is the idea of a society reset. People that have a lot of quarrels with the government, hate where things are going, feel trapped, or are dissatisfied with their own life see a zombie apocalypse as an escape. A chance for everyone to start on even grounds and get a life redo. Now it is true that many Japanese are also not exactly satisfied with their government or their lives, and many people are not happy. But they are less likely to fantasize about change, and more likely to accept that this is the way it is. Will zombies popularity ever rise in Japan? I hope so. 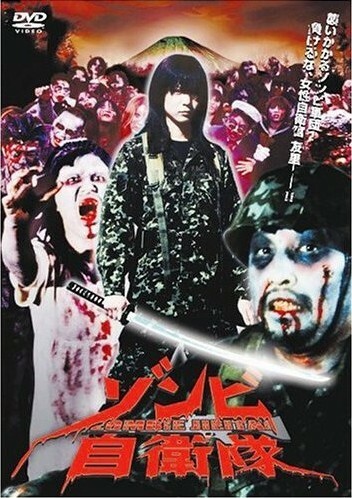 I would love to see a decent zombie movie that takes place in Japan with Japanese people. Can you think of any other reasons why zombies aren’t popular in Japan? 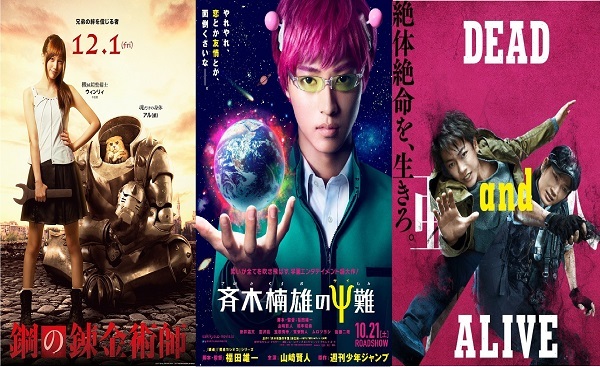 Or can you point to any Japanese movies, manga, or shows where zombies are done quite well? 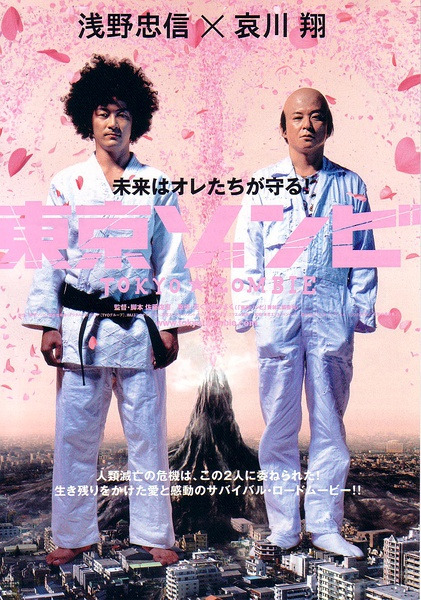 Tokyo Zombie and Stacies were both some pretty entertaining Japanese zombie movies. Versus is supposed to be pretty good too. Some Japanese friends and I went to go check out the local zombie walk last week. I asked if they would ever have one in Japan and they just laughed and said no. Huh, and here I thought zombies were internationally popular! hahaha. Interesting. I’m with Kei, I know lots of Japanese people that love zombies and are fans of stuff like “The Walking Dead”. I think it’s just bigger in the USA because the US is bigger and actually alot of people here are sick of zombies now. 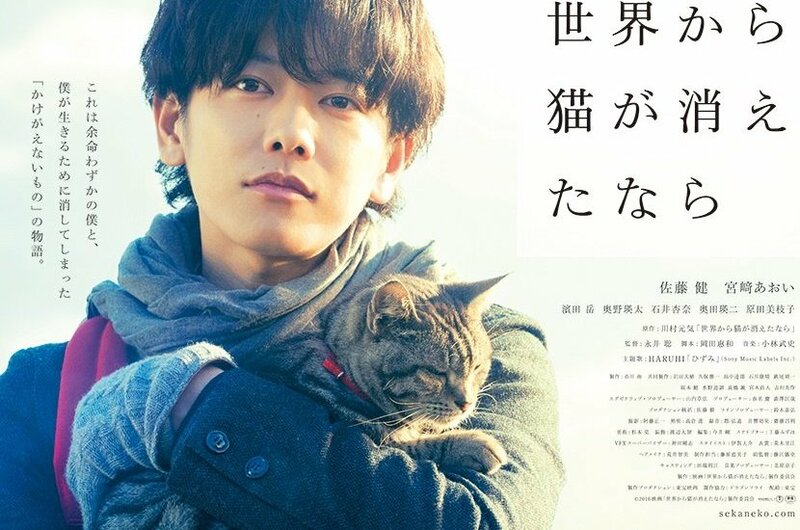 What about 桐島、部活をやめるってよ, that’s fairly recent and won a lot of awards. Though, that movie doesn’t actually have zombies in it. 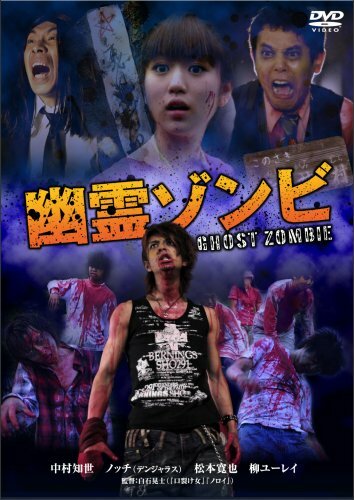 Rather, it’s about a high schooler making a zombie film. There’s a zombie attraction that’s been going on at USJ in Osaka for halloween. They’ve got ベッキー promoting it and everything! …It’s a step. I must say I was a bit puzzled by this post as I always figured that Japan loved zombies. After seeing the halloween trend this year to zombify every costume imaginable it certainly feels like zombies are just as popular here as they currently are in the US. I can’t really refute any of the points you made, but zombies were definitely massively more popular than ghosts last night! Maybe zombies are going through a sudden Japanese renaissance I’m not aware of? Maybe someone has some new info that shows a very recent change in trends in Japan? This is hardly conclusive, but Google provides tools to let people explore trends in searches. Here are some quick comparisons. From this it looks like zombies are currently more popular in the US than Japan, although they’re slowly gaining in popularity. There doesn’t seem to be any sudden recent increase, at least not in number of searches. Twitter would give a better view of what people are actually talking about, but twitter doesn’t make that kind of data available. (I compared against 幽霊 and 悪魔, but I’m not sure if those are really the right things to compare against, and in particular I don’t know if this is the right word for “ghost” in this context). I think me using the wording “as popular as they currently are in the US” is probably terribly wrong. The Walking Dead is out here but obviously not some massive hit being advertised everywhere and people are not organizing random zombie events that aren’t based around Halloween. However, I did see a guy dressed up in an amazing STARS costume this year and Biohazard has been a popular video game and film here since the PS1 version released in the mid-90s. I think in some ways that counts more than just a TV show just because of the differences in media consumption here. You also bring up a good point about age demographic. For example, maybe the younger generation of Japanese 15-25 is reaching peak zombie popularity, but older generations 30+ still don’t care. As opposed to America, where zombies seem to remain popular for the 15-45+ demographic? Now that I started reading アイアムアヒーロー　(which is great, thanks for the recommendation), I started looking at some of the comments on the series on 読書メーター and it’s quite amusing to see reactions. The guys that really like it, reaaaallllyyyy like it. Then you have those who hate it and decided to stop reading it. Some also thought the introduction was way too slow and long not realizing that zombie stuff loves to go slowly then all of a sudden mass chaos. Then there are those in the middle who are really confused and don’t know what’s going on. Despite the first volume dropping all these hints about people biting each other (as a foreigner you know that immediately means zombie pretty much) and then seeing the final images, people still were wondering what the “monster” was. Ghosts? Even in volume 2 some people are questioning if these are zombies. I laughed a bit and felt bad for those who thought this was a 日常 series. In any case, seems that zombie is still a foreign territory for many. Interesting about the ︎mixed reactions from readers. It definitely does start with a slow pace, as the first real zombie encounter doesn’t happen till the end of volume 1 if I remember correctly. I wonder how this pace compares with the walking dead comic book. As you said, there is an even more intense “what’s a zombie? !” feel to the characters than your typical Western counterpart which is fairly quick acceptance. The thing that puzzles me the most is why it hasn’t been made into an anime yet. It already has something like 16+ volumes and is somewhat popular. Seems strange.